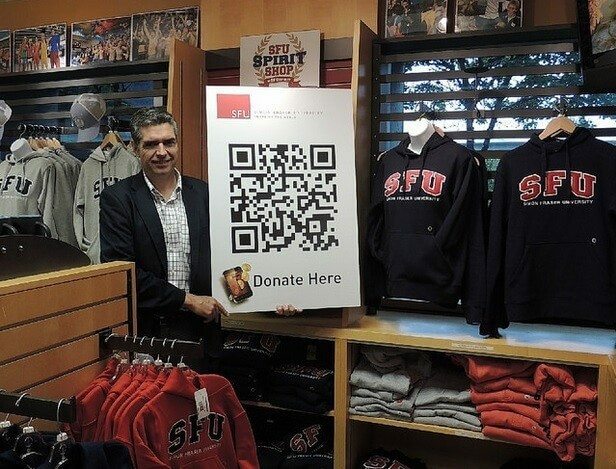 In an attempt to “get the students to talk about innovation and try Bitcoin,” the Canada-based Simon Fraser University (SFU) is now accepting Bitcoin at all of its bookstores and also installing automated BTC vending machines on three campuses. Besides being able to buy all their textbooks using Bitcoin, the students will have easy access to digital money. The institution, headquartered in British Columbia, announced that one-way cryptocurrency ATMs will be operating on campuses located in Burnaby, Vancouver and Surrey. The devices will be supplied by the Canadian company BitSent, a well-known producer of AVMs (Automatic Vending Machines) in the country. Each bookstore will encourage the students to pay with Bitcoin by giving the first 100 customers a $5 bookstore gift card every time each student spends at least $20. “Additional prizes and gifts will also be handed out,” the university announced. Mark McLaughlin, the university’s executive director of ancillary services, confirmed the institution is trying to spread awareness about Bitcoin amongst the students . “The only way to have an opinion about digital currencies is to learn about it, and we are providing a first-hand experience,” McLaughlin said in a press release. “It is our mission to challenge and engage students and provide them with learning opportunities not only inside the classroom but also outside. SFU has one of North America’s most prominent Bitcoin student clubs and they have asked us to help introduce Bitcoin to the SFU community. The decision is not exactly surprising. Last year the university, with over 50 years of history, became Canada’s first post-secondary institution to accept Bitcoin donations.